Arguably one of the most magical experiences in life is witnessing child birth. There’s something about seeing a new life officially enter this one that can be cause for revelry. On April 20, celebrating is exactly what people at Shedd Aquarium in Chicago were doing. They were congratulating Katrl, one of their Pacific white-sided dolphins, for giving birth successfully. According to the Shedd Aquarium website, Katrl went into labor in the wee hours of the morning on April 20. Around 6 a.m., the tail flukes of Katrl’s offspring could be seen for the first time. As labor progressed, Katrl swam around her enclosure pushing. She was in labor for about three hours. At 9:14 a.m., Katrl was able to push the 25-pound baby dolphin out. It immediately began swimming near her. When the baby dolphin arrived, according to the Shedd Aquarium website, someone shouted, “It’s out!” and everyone clapped to welcome the new arrival. 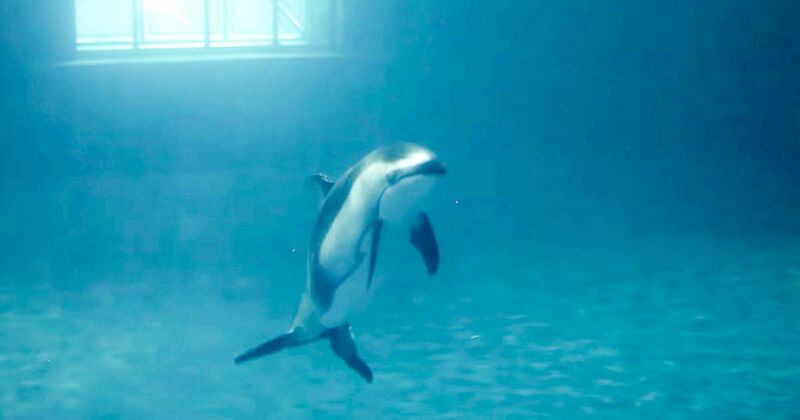 The new birth ups the number of Pacific white-sided dolphins born in accredited zoos and aquariums in the North America to 16, the Shedd Aquarium website stated. Watch the video footage of Katrl’s labor below.